Search Results for "switzerland flag"
Painting Flag of Switzerland white paper with four different ways. Drawing Switzerland flag on grunge paper loop. Swiss flag Graffiti on white wall. Animation of Switzerland flag full hd and 4k. Photorealistic 4k Close up of switzerland flag slow waving with visible wrinkles and realistic fabric. 15 seconds 4K, Ultra HD resolution switzerland flag animation. Painting Flag of Switzerland on old wood boards With four different ways. Animation of wooden grunge Swiss flag loop. Abstract flag background for your text or logo. drawing Switzerland flag full hd and 4k. 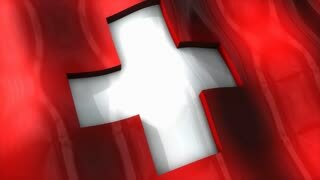 Switzerland flag is waving 3D animation. Symbol of Switzerland's national on fabric cloth 3D rendering in full perspective. 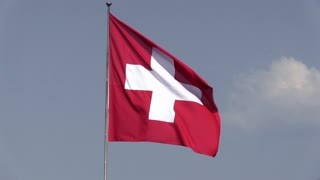 Switzerland flag - Photo realistic close up of waving flag. Extreme depth of field. 3d Render. Switzerland flag being blown by the wind. Switzerland Flag in a Blue Sky. Use this clip loud and proud to express loyalty and love to our country. It is a seamless loop with luma channel.